Programs designed to narrow the achievement gap and provide students with opportunities to achieve school success. The YMCA of the Greater Twin Cities (YGTC), a leading nonprofit dedicated to strengthening communities through youth development, healthy living and social responsibility, offers educational and enrichment programs designed to narrow the achievement gap and provide students with opportunities to achieve school success. Studies show participation in after school and summer programs helps boost school attendance, behavior and academic performance and reduces gaps in academic achievement among children from underserved communities. The after school and summer programs focus on providing youth in low-income communities with academic, social and lifework development to build confidence, academic skills and healthy habits. The YMCA collaborates with St. Paul Public Schools and Maxfield Elementary School to offer the School Success program during the school year. This program includes after school tutoring, one-on-one mentoring, higher learning preparation and youth activities. To extend academic learning from the school year into the summer and to prevent summer learning loss, the Maxfield Elementary School offers Power Scholars Academy™, a collaboration between the YMCA and Building Educated Leaders for Life (Bell). During the summer months, children who lack quality learning experiences tend to lose academic skills over the school break and these losses can equal two months of a grade level each summer. Studies have shown that by the end of eighth grade, summer learning loss can account for 66 percent of the achievement gap between low-and high-income students. The Power Scholars Academy™ offers full-day learnings experiences that focuses on academic instruction in math and literacy in the morning and fun, hands-on enrichment activities such as art, science, technology, physical movement, careers, field trips and service projects. The program is designed to help scholars gain new academic skills and be prepared to go back to school ready to excel. Discover how Bronell improved and increased confidence in his math and reading skills – Bronell’s Story. See how Victoria’s desire to learn has turned her into a leader – Victoria’s Story. As a leading nonprofit committed to nurturing the potential of youth, financial assistance is available to those in need to ensure every child and teen has the opportunity to learn and grow at the Y. 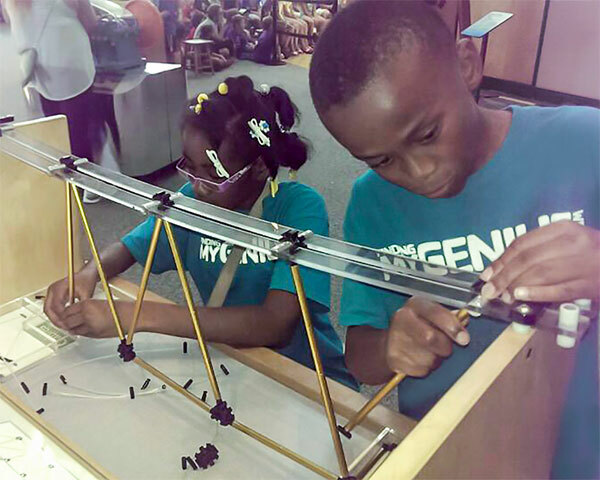 Learn more about the Y’s educational and enrichment programs.